THE MEGA CAMPAIGN IS ABOUT engaging a wide network of civic organisations and movements, local communities, human rights defenders, journalists, trade unions and businesses who share our values in a two-years pan-European process of defining what should the Future of Europe look like. Together will all those who wish to join us in this endeavour, we will draw up our wish list of actions the EU institutions need to undertake, we will formulate claims to future candidates running for a term in the next European elections, we will more generally feed into the public space with proposals for more democracy, solidarity, equality, inclusiveness. HOW CAN YOU TAKE PART AND BUILD POWER THROUGHOUT COMMUNITIES? We want to give voice to the role of civil society all over Europe and shows why it is important to Make Europe Great for All. If you wanna share with us positive stories of solidarity, inclusiveness, and democracy, let us know your story! A Europe that serves people and the planet! A democracy that gives voice to all! A wellspring of solidarity uniting European people! – Call for signatures! The more we sign the Manifesto – the stronger our voice! – We can support advocacy with EU institutional contacts, communication, outreach. What used to be an exception a few years ago has now become a Europe-wide phenomenon. We are deeply concerned that all over the continent restrictive measures have been enforced against those who speak for minorities, who defend European values and fundamental rights, freedom of expression, association and assembly. You can be our eyes on the ground, let us know about breaches of fundamental rights so that we can organise in defence and act in a concerted manner. – Coordinate with us joint actions across Europe to protect civic space. 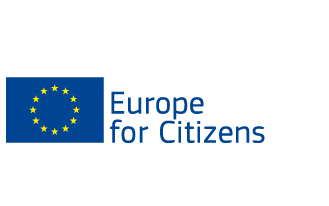 Throughout our MEGA campaign transnational events, we will support, collect and compile key demands from civil society to be presented as the civil society’s wish list to the Spizenkandidaten (candidates running for the presidency of the European Commission) early 2019 and to political candidates all across Europe who run for EU elections. Thus, supporters of the MEGA campaign will be actively involved in discussing, debating and reflecting upon the translation of fundamental values into inclusive public policies.